Gina & Alan’s Wedding Gina & Alan’s Englewood Field Club wedding was one that we will remember for some time. The bride and her mom planned this wedding down to the smallest detail. Jinee & Jason’s Wedding Jinee & Jason’s Seasons Catering wedding was one of the most fun weddings we have done in a long time. We were honored to be selected to photograph this wedding. Lauren & Matthew’s Wedding Lauren & Matthew’s Westmount Country Club wedding was one that we will remember for some time. The bride and her mom planned this wedding down to the smallest detail. Natalie & Steven’s Wedding Natalie & Steven’s wedding was not the typical Abbey Photographers wedding. By that I mean that it was not at your typical reception site. It was at a private home, near the beach, in Long Beach Island, NJ. 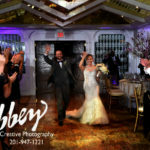 Christina & Nick’s Wedding Christina & Nick’s Rockleigh Country Club wedding was one that we will remember for some time. The bride and her mom planned this wedding down to the smallest detail. We were honored to be selected to photograph this wedding. Demitria & Ryan’s Wedding Demitria & Ryan’s Old Tappan Manor wedding was one that we will remember for some time. It is not often that a company has been in business for 63 years. Christina & Chris’s Wedding Christina & Chris’s Balloywen Country Club wedding was one that we will remember for some time. There are not many venue’s that we visit that are so picturesque as Balloywen Country Club. Barbara & Robert’s Wedding Barbara & Robert’s Seasons Catering wedding was one of the most beautiful weddings that we have photographed this year. Barbara and her mom planned this wedding down to the smallest detail. We were honored to be selected to photograph this wedding. Rita & Enzo’s Wedding Rita & Enzo’s Seasons Catering wedding was one that were looking forward to for some time. Rita’s dad, Bob was a former NCAA & NBA champion, so, all of us were excited to work with the McAdoo & Sciglitano families. Rebecca & Joseph’s Wedding Rebecca & Joseph’s Greentree Country Club wedding was one that we will remember for some time. The brides family was very close friends with the Gross Family.